The recent PR buzz from Microsoft that published on Tuesday September 03 2013; now has been converted into the sensational headline of techie market. The giant Microsoft Corp acquires Nokia’s mobile phone business (includes Asha series and the Windows based Nokia Lumia series) in just $7.2 billion including patents. This transaction is likely to close in the first quarter of 2014 and it is subject to approval by Nokia’s shareholders and regulatory approvals. According to the news resources, Microsoft has accepted to the 10 year non-exclusive license. According to rumors the most possible reason which leads to this acquisition is Nokia’s financial troubles that started last year. Now Nokia just wishes to focus on its wireless broadband business. The reason which inspired Microsoft to take such a big step is “To speed up the growth of its share value and to gain better profit in mobile business”. As we mentioned this deal is split between the phone-making unit and Nokia’s patents. Microsoft will expend $5 billion (€3.79bn) on the phone-making unit, and $2.17 billion (€1.65bn) on licensing Nokia’s patents. This deal is the largest deal for a wireless device maker after Google’s $12.5-billion purchase of Motorola Mobility in May 2012. 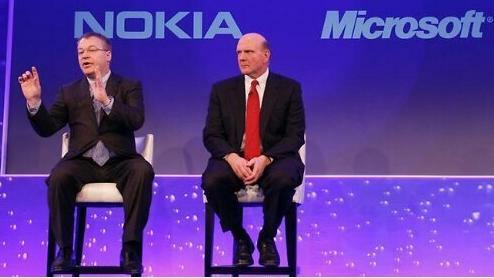 Around 32,000 employees of Nokia will transfer to Microsoft. Nokia sold around 7.4 million Lumia smartphones in the second quarter of 2013. Stephen Elop the chief executive of Nokia, who prior worked for Microsoft, will again join the Microsoft Corp. and he will be leading the phone-making division that Microsoft just bought. Nokia will preserve its patent portfolio, but will give Microsoft a 10-year license to its patent at the time of the deal closing. Tom Gibbons will handle the integration work for Microsoft. Nokia shareholders/financiers are expected to attend an extraordinary general meeting on November 19 of current year. Everything you Need to Know About Internet Speeds!